The RVer has many options for things to do. Outdoor activities include hiking, fishing, camping, golf, cycling, kayaking, canoeing and even rock climbing. Indoors, there are crafts and line dancing and cooking to capture the interest and imagination of the RVer. Most RV Parks and campgrounds offer a variety of activities. And of course, sight seeing in the local area are a favorite pastime. Here are some thoughts on things to do as part of your RV lifestyle. Golf: There are golf courses across the continent, making this a readily available outdoor activity. Golf is both a fun and frustrating sport. To get good at the game, you need to play often, practice at the driving range, and take some lessons. We took it up when we were in our 40’s, and have gradually improved since then. Even though we are still marginal golfers, we enjoy getting out to play. It makes for a great day of outdoor activity in a pretty setting – and we get some exercise. For discounts on golf, check out the Golf Card to help manage the cost of green fees. The card provides discounts on green fees, subject to some rules about how often and when you play. Having the card may save you money, providing discounts at over 3600 courses. A good site to find golf courses as you travel is www.golfcoursesguide.org, listing worldwide golf courses guide with full details and golfer reviews. Bicycling: Many RVers have a bicycle for touring around the campground or beyond. It’s fun and gives you more choices for exploring an area. You can often get more “up front and personal” with your surroundings than you can in a car or the RV itself. When we became fulltimers, each of us had a mountain bike and a road bike. We decided to get rid of the mountain bikes (since we really didn’t do any true mountain biking). We now are using hybrid bikes, which seem to be a good happy medium. We can get around the campground, whether paved or gravel roads, and they are acceptable for casual road rides. Bicycles can be carried on a bike rack on the RV or towed car. One of the issues we still grapple with is that the bikes pick up road grime if not covered. When we were towing a Silverado pick-up with a cap, we had the bikes in back under cover. Next we had a Saturn as our toad, with the bikes on a rack off the back of the car. We could never find a suitable bike cover. Those we have tried tend to block the turn and brake lights, which we think is a safety concern. So we clean the bikes more often. Now we have a Ford Fusion Hybrid and a bike rack on the back is not practical. We have the bicycles hanging on our RV ladder. Next time we need bicycles we will seriously look into folding bicycles – assuming we can find a good place to store them and keep them clean. Hiking: Whether you are a serious or casual hiker, this is a great thing to do to appreciate the great outdoors. We have really enjoyed hiking – it is good exercise, economical and interesting. When we get to a National Park, one of the first things to do is to get the scoop on hiking trails, so we can plan some hikes. If you are just starting out or thinking of trying hiking for time – take short, easy trails to get a sense of what you can handle. Then you can decide if you want to take longer or more strenuous trails. B﻿﻿﻿ring plenty of water and snacks, important to keep up energy, especially in hot weather. Definitely carry enough water. Dress in layers. Look for comfortable clothes and fabrics that wick moisture away. Wear comfortable yet supportive shoes. Bring some basic first aid supplies. If you bring a camera, have a place to put it when not frequently taking photos. ﻿﻿﻿Even if you are only going out for a short hike, once you get out in nature, you might find you want to go further. It’s a real bummer if you can’t continue your explorations because you are too hot or too cold, or didn’t bring enough water or wish you had a Band-Aid. And having the right gear can make all the difference! Another tip for this outdoor activity is to know where you are headed. It is an adventure to follow a trail and go exploring. But it’s not too much fun to get lost. Serious hikers will want to make sure they have a trail map. Kayaking: We have seen kayakers on small streams, tranquil rivers, in the ocean and traversing rapids. We had a chance to try it out ourselves on a visit in North Carolina…and it’s an outdoor activity that has certainly has caught our interest. If you are already an aficionado or are interested in learning more, check out some kayaking things to do at kayakingjournal.com. Camping: The camping experience is certainly a natural choice of things to do. Many RVers started out around the campfire before they actually began their RV lifestyles. Even though the world of RVing has become sophisticated and filled with modern conveniences, there is still a lot to be said for the basic pleasures of camping. Camp Spot is a website that captures the spirit of the old-fashioned camping experience, with ideas on campfire cooking, camping songs, tips, and more fun camping things to do. Line Dancing (and Partner Dances): We used to think of country partner and line dancing as one of the things to do in Texas, or some other place out west. Well, much to our surprise, we began line dancing in central New Jersey. Jose, a guy who grew up and lived in New York City for most of his life, was soon doing the two-step. We learned that line dancing is not just country – there are thousands of dances and the music includes latin, disco, pop and country beats. We have danced to standards and swings and sambas, in addition to great country music. Partner dances include two-steps and waltzes and tons of other dances with defined steps (like the El Paso or Wooden Nickel.) We have found line and partner dancing in various parts of the country. This is really a favorite on our list of things to do, usually at a reasonable price. The biggest challenge is finding the line dancing in a given area, since dancing venues are often only advertised word-of-mouth. A good website and newsletter for finding places to dance is http://www.worldlinedancenewsletter.com. A campground may have line dancing (sometimes free as part of your stay), or it may be found at local establishments (bars, church halls, civic clubs, etc.). Places that have dancing usually have a lesson as part of the event and welcome new dancers. If you decide to give it a try, please give it a bit of time. When we started, we felt totally clumsy. Our feet just didn’t seem to cooperate, and meanwhile we watched how easy other people made it look. Well, it didn’t take long to “get it”. There are some basic steps that you need to learn – shuffle step, kick-ball-change, sailor step, and so forth. But once you get them down, these same steps are used over and over again. Take a few beginner lessons to get you started on the right foot (pun intended), and stick with it. Once you get the hang of it, each new dance is easier and easier. We have gone through periods as long as two years when we didn’t dance – but when we started again, it quickly came back to us- just like riding a bike. 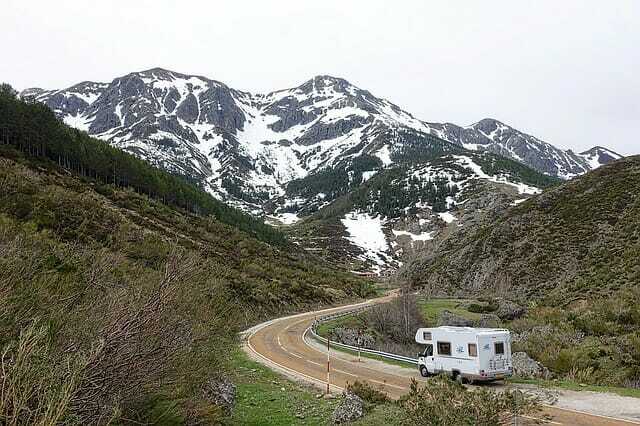 Things to Do at the RV Park: Many campgrounds offer things to do as part of their scheduled activities or facilities. We have taken advantage of some of these free things to do – such as shuffleboard, miniature golf, water aerobics, horseshoes and tennis. Many parks have board games, puzzles, books and videos on hand. And at the campground clubhouse, popular things to do include bingo and card games. Pickleball is a popular sport at our our Thousand Trails parks. It’s a lot of fun – give it a try! Let us know your ideas for things to do. We will continue to add more information and ideas on this site – for both outdoor activities and indoor fun. Looking for a different type of adventure? Check out our RVCampingEurope.com website!